You don&apos;t have to celebrate Christmas to enjoy stuffing your face with mounds of meat. We prefer ham on Christmas, but apparently some people eat turkey (weirdos). 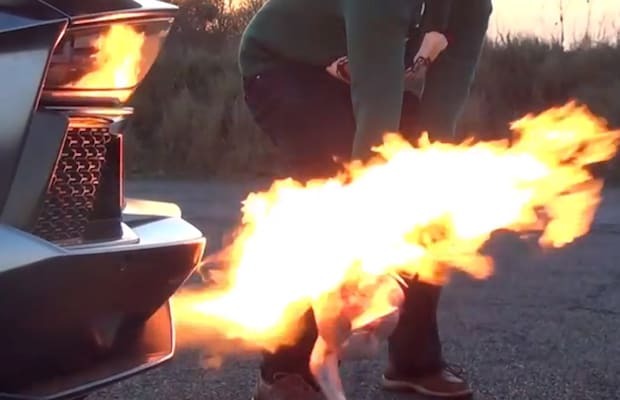 There are various ways to cook the holiday bird, but why go with a boring old oven when you have a Lamborghini Aventador? Correction, this is a Lamborghini Aventadeer (peep the nose and antlers), and it has all the power to pull Santa&apos;s sleigh solo and spits enough fire to put a nice crunchy skin on the bird. Actually, you would probably die if you ate this contaminated meat, but that doesn&apos;t tale away from how awesome the video is.